The so-called “Intelligent Surveillance and Guard Robot” uses visual and infra-red detection to distinguish between humans, trees, and vehicles, and can do so from 2.5 miles away during the day and about half that at night. “Until now, technology allowed these robots to conduct monitoring function[s] only. But [now] our robots can detect suspicious moving objects, literally go after them, and can even fire at them,” said Sang-Il Han, principal research engineer at Samsung Techwin. Once the target is within 10 meters, it will demand a pre-programmed military secret code. If this code is not provided, it could give three possible responses: sound an alarm, fire rubber bullets or open fire with a K-3 machine gun. It took 20 years for the premise of the futurist 1986 film Short Circuit to become realizable in the real world, but that day is now upon us. 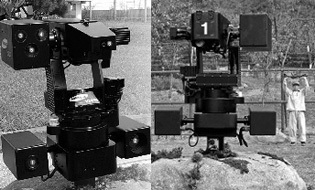 Unmanned robot sentries are being rolled out by the thousands in Korea at $200k a pop, a price within the range of the US consumer market. Recommendation: Short human soldiers, Hold Militaries (on watch for downgrade). The cost savings generated by eliminating human cogs from the war machine are likely to be offset by increased competition from rival militaries, as the barriers to entry to creating a robot army to take over the world are smaller than those required to create a human army to take over the world. Current R&D costs maintain a distinct competitive advantage in favor of the incumbent suppliers of highly engineered killing conquest services, but this could abate over time and the move away from a labor intensive industry to an idea intensive industry creates opportunities for disruption by nimble militaries or evil geniuses. I can’t wait for the new Short Circuit. 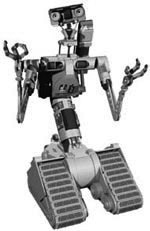 Johnny Five is the best! That Wall-e looks like a cheap rip-off… I also just got a copy of Short Circuit on Blu-Ray. The sound and picture quality is sooo amazing!!! It was like being a kid again and watching it for the first time in theaters.